9:00 AM - 9:45 AM Planning for Healthy Communities (VIDEO). 9:45 AM -10:15AM Environmental Greenmailing - Presented by Eric Christen, CEO of Coalition For Fair Employment in Construction. 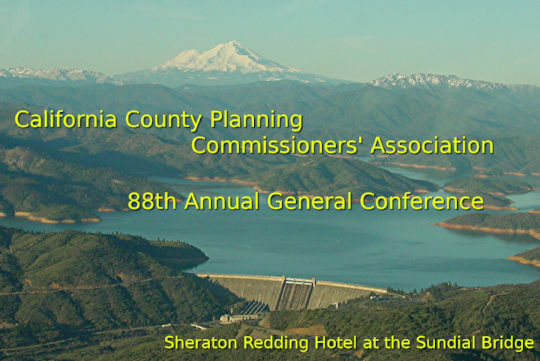 10:30 AM - 11:00 AM Tribal Consultation under AB 52: An overview, tips for compliance and changes in the CEQA initial study. 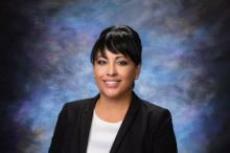 11:00 AM - 12:00 PM US Environmental Protection Agency Superfund Program: Site Cleanup, Brownfields Revitalization, and Emergency Response Presented by Lily Tavassoli, Project Manager Iron Mountain Mine Superfund Cleanup Site, Region 9, San Francisco Office. 1:00 PM - 1:15 PM Welcome to Redding and Shasta County – Presented by Jake Mangas, President and CEO of the Greater Redding Chamber of Commerce. 2:15 PM - 3:00 PM 2017 “The Year of Housing" (VIDEO) A new look at the housing element of your general plan. SB35 - Fast tracking projects to meet regional “Fair Share” housing goals. AB1505 - New “Permanent Source” of funding for affordable housing. SB2 - New “Permanent Source” of funding for affordable housing. AB494 & SB229 – Easing the way for second units on residential lots. AB678, SB167 & AB1515 – Strengthening tools to fight NIMBY opposition to housing. 2:45 PM – 4:15 PM Recreational Marijuana / Commercial Marijuana Manufacturing. This will be a panel discussion on the various trends and land use issues that are being seen across California.